Home › Nuclear › Is the Cape High Court judgement a fatal blow to South Africa’s nuclear pretentions? Is the Cape High Court judgement a fatal blow to South Africa’s nuclear pretentions? The secretive agreement with Russia, and two other agreements with the US and South Korea on nuclear co-operation. Eskom’s request for information from nuclear vendors. Government will have to start all these procedures again if it is serious about going ahead. It will have to open up the process to detailed public scrutiny. The regulator will have to have a series of public hearings before the country can endorse its historically highest ever spend on infrastructure, estimated at well over R1 trillion. The international agreements will have to be brought before the scrutiny of parliament. All this will take time. Time that president Zuma does not have. He threw out two Ministers of Finance who clearly opposed the deal, as well as his relatively loyal Minister of Energy. But the procurement cannot happen in June, as planned by Eskom. In fact it is unlikely to happen before Zuma leaves office in two years’ time. Meanwhile the facts about the deal will become open and public, and will demonstrate that we cannot afford and do not need more nuclear energy. Since 2011, Stats SA has revealed that we are consuming far less energy than before the power crisis of 2008. This is a result of the economic downturn, the higher price of electricity causing more to save energy, the rapid roll out of renewables (now producing more than Koeberg can), and the opening up of giant coal burning plants at Medupi and Kusile. We produce more than we currently consume, allowing us to export electricity to our neighbours. Eskom also has plans to close six coal burning power stations. 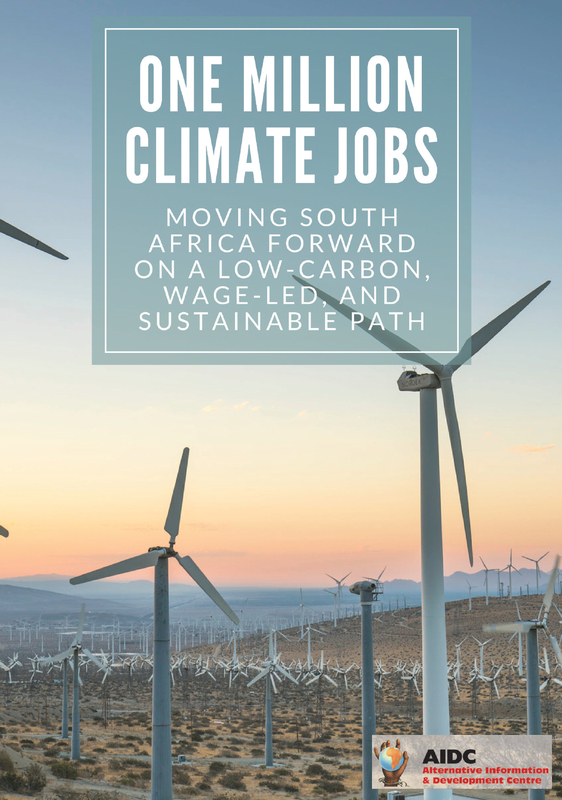 Recent studies from the University of Cape Town’s Energy Research Centre have shown that we do not need to consider nuclear for another twenty years. The CSIR has developed models showing that new nuclear is likely to be much more expensive than coal or renewables in our energy mix. Now that we have been rated as junk investment status, it is unlikely that our economy can afford the debt burden. Zuma’s enthusiasm for the deal has led to suspicions of his motives. One source of pressure might be the Russians. Another is more than likely the Gupta family. The Guptas control Shiva uranium mine on the West Rand. It can’t produce at current low prices. They may be banking on a future expansion of nuclear energy to make their investment more viable. In her report on state capture in November, the Public Protector pointed to overlapping directorships between Gupta-owned companies and Eskom. Eskom CEO Brian Molefe was compelled to resign after his close relationship with the Guptas was revealed. Zuma’s son and other relatives are directly employed by the Guptas. Zuma is relatively isolated in his quest for nuclear procurement. The ANC is clearly divided on it. The private sector is against the idea. Most scientists, except for those with a stake in nuclear, have advised against it. The list of civil society organisations opposed to nuclear expansion goes well beyond the environmental lobby, and includes foundations, trade unions, faith communities, human rights campaigners, defenders of the constitution and many other citizen groups. 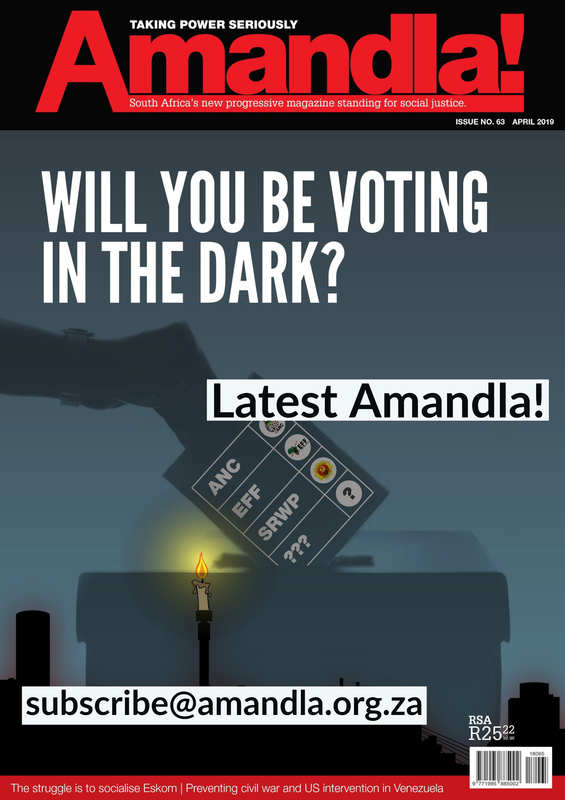 Will Zuma and Eskom accede to the verdict, or will they challenge it, while continuing to overturn the rule of law? Not only would this subvert our constitution and our democratic form of government, but it would illegally deny popular participation in energy democracy. The stakes are high, but the president’s own future is part of those stakes. Will he continue to treat the country’s future with impunity? Or will this judgement symbolize the roll-back of the democratic dispensation envisaged by the authors of our constitution? The issue of nuclear procurement has become one of the key markers of our nation’s political health. David Fig is a fellow of the Transnational Institute in Amsterdam and works out of Johannesburg as a researcher and trainer with progressive social movements. He is author of Uranium Road: Questioning South Africa’s Nuclear Direction.